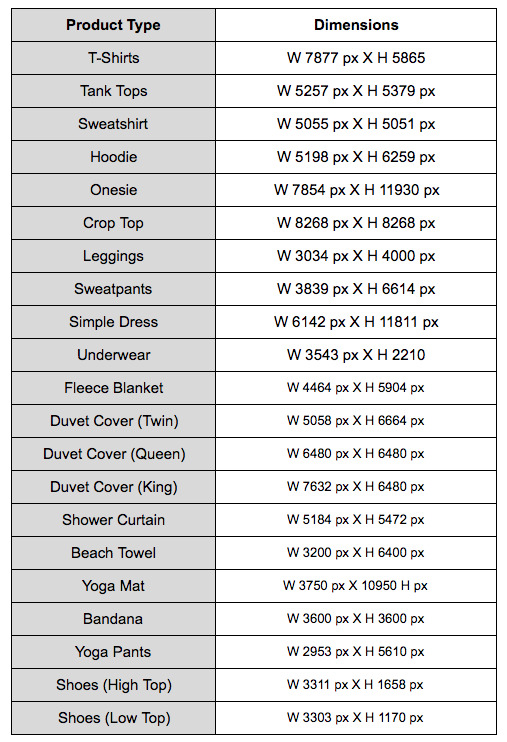 Have questions about image/file size when creating your products using our builder? 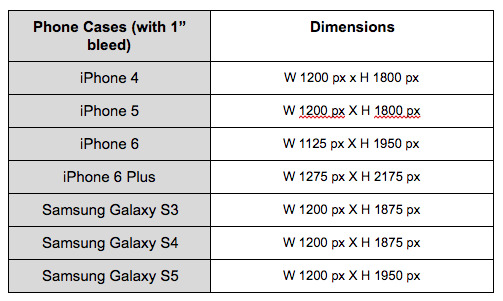 Check out the chart below for suggested dimensions for each product type. *As an artist we give you the freedom to express yourself and create killer products without restrictions! However, for best results we strongly recommend that you use high quality images (.jpg or .png format) that are a minimum of 5000 x 7000 px with a resolution of 150-300 dpi. Images should be no larger than 20MB to prevent loading delays.